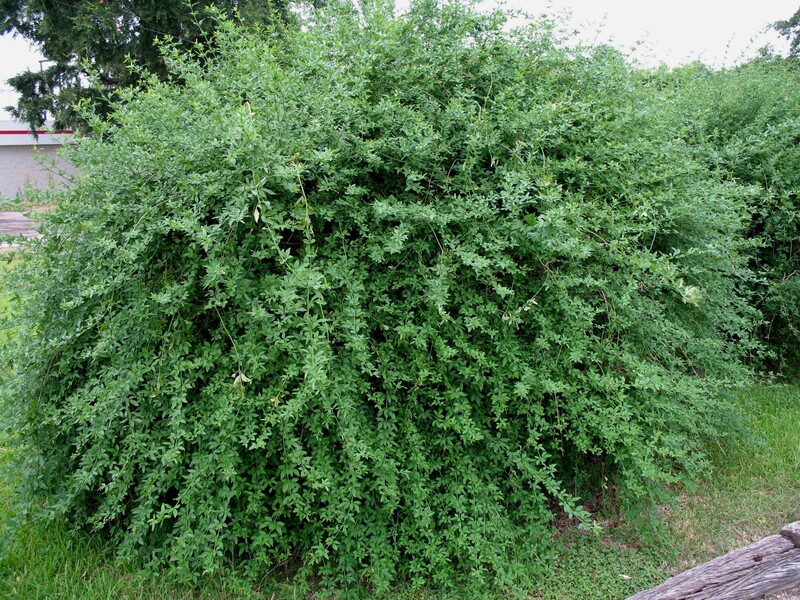 Comments: A large, mounding, evergreen shrub that is excellent for screening. Its main flowering occurs in spring, but it has scattered blossoms throughout the year. It makes a good planting on slopes where a stabilizing element is needed.